In this article you will read how grade 2 students incorporated action into the ‘How we organize ourselves’ unit of inquiry. When teachers plan the order of the units at the beginning of an academic year, they consider certain aspects, such as the time of the year, the relevance to the school/global events, the possibilities of collaboration with single-subject teachers, etc, that may support student’s inquiry into the unit. From ‘Me on the Map’ by Joan Sweeney. 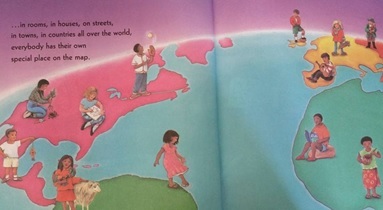 This book introduces the maps and geography in a simple way. The students were encouraged to think from specific point to a bigger space. Whilst they were listening to the story, they were making connections to the current issue at that time. Lots of refugees were coming to Germany and the students were making connections between the story and the current situation. They were wondering whether the refugees have their own place on the map. “No, they are not! Not everyone has a special place on the map. Refugees have lost their homes because of war”, commented a student. She made the connection to the current situation of many refugees coming to Germany. This got the entire class thinking, asking questions and discussing what they already knew or had heard. One student mentioned that her family has started to think of ways to help refugees; other students had already begun collecting toys to donate. ~ Making the PYP happen (2009) p. 26. As their class teacher, I felt I had the responsibility to guide the class discussion towards the unit’s final line of inquiry Our role and responsibility as part of a bigger community. I continued provoking thinking by asking questions until the class suddenly said We should help them! and that was a starting point for action: discussing why and how we could help the refugees. I let the students know that their willingness was a great idea. However, they need to make this idea happen and become an action. I let them discuss in small groups and they drew posters to visualize their ideas. A lot of wonderful ideas were shared around possible action ideas. The students visited other classes and presented what they were working on during our PYP assembly. However, they realized that they could not take action without support from others. I shared this idea with my colleague, an ESL (English as a second language) teacher, who informed grade 2 students that he planned on visiting the handball center in Essen Frohnhausen where more than 60 refugees were currently living. The students created greeting cards and posters for the children there, welcoming them to Germany and expressing their wish to be friends. The ESL teacher delivered the items to the refugees and was discussing ways to further grade 2 action with the social workers responsible for supporting these victims of war. Where will this inquiry lead? We can not say and it depends on our grade 2 students. Judging by their enthusiasm, empathy, inquisitive mindsets and future plans to develop a photo auction and donation event, we are sure their action will leave a lasting impact! 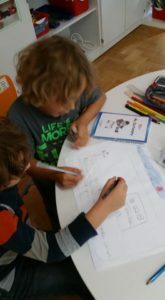 Taking action is one of the five essential elements of the PYP and an intricate part of the inquiry cycle which could be interpreted as a “conclusion” to learning. When taking action, students make connections to new knowledge they have acquired and apply their skills in everyday life. This shows that students have a deep and lasting understanding, which can also be used to make connections to existing knowledge or to new questions. These students learned that inquiry can lead to action and that even the smallest of us can make a difference. Yuniarti (Yuni) Santosa is currently an assistant PYP Coordinator and a grade 3 class teacher at International School Ruhr in Essen, Germany. She has worked at PYP schools in Indonesia, Kazakhstan, Norway and Germany. Yuni has found that teaching at PYP schools in different countries have enabled her to understand more about the PYP values. She is also an IB Online Facilitator. 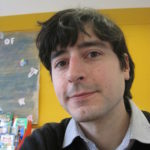 Vjekoslav Kovac is a former PYP teacher (ESL, Language Arts/ICT) and primary years librarian. He is now an IB DP English teacher, newsletter editor and Head of Secondary Years at International School Ruhr in Essen, Germany. Although International School Ruhr has been his first IB school, he has more than 12 years of teaching and writing experience in Croatia, Turkey, Georgia and Germany. Excelente article, just goes to show us all the power of child’s good natured heart. All they needed was structure (IB PYP) and the awesome guidance of their teachers. Congrats! Thank you, Jose! Students do need some guidance from the teachers and the support of the school community. That’s what I share with the students. When thinking of taking action, you may want to share with others in order to make your action happen. Lots of transdiciplinary skills have been demonstrated. I hope the second part of the article will share how the action happened. Wonderful article, I should really appreciate the efforts of the class teacher. Its really nice to hear liittle children taking big actions, it would try to follow this in my class too by discussing further to bring about good actions in class. Good job! I believe that students need some encouragement and guidance to take action. One thing that we, as educators, should always remember is not to get tired of provoking their thinking by asking questions. Action could be as simple as bringing healthy food for snack and lunch as they learn about healthy body. The more we ask, the more they develop their thinking. That’s really an awesome article! Many thanks for sharing it, Yuni! PYP is a new program for me (I’ve been just 3 months in it) but it attracts me so strongly. The described actions of grade 2 srudents they are really so global and makes noone stand apart. Great experience! Thank you, Inna. We just need to acknowledge and celebrate student’s thinking and idea no matter how small and simple we think it is.